of electrical engineering Famed English chemist and physicist Michael Faraday was born on September 22, 1791, in Newington Butts, a suburb of Surrey just south of the London Bridge. His family was not very well off and could only afford to give Faraday a basic education. When he was 14, Faraday was apprenticed to a bookbinder. Much of his learning came from reading the books he was binding. At the age of 20, Faraday attended a series of lectures presented by English chemist Humphrey Davy. 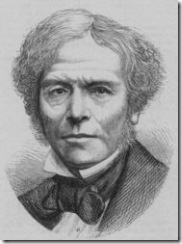 Faraday later wrote to Davy requesting a job as his assistant. He was turned down, but a year later Davy appointed him as a chemical assistant for the Royal Institution. Shortly after, Faraday was invited by Davy to accompany him on a European tour. Upon his return, Faraday continued assisting with experiments at the Royal Institution. In 1821, he published his work on electromagnetic rotation, the theory that was used to create electric motors. In 1831, Faraday makes a significant discovery, the principle of electromagnetic induction. This principle was used to create the electric generator and transformer. This development was crucial in making electricity a practical and useful form of energy. In the 1840s, Faraday's health began to deteriorate. He eventually died on August 25, 1867. 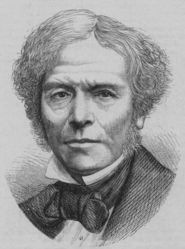 Faraday's contributions to science and his research on electricity made big leaps towards modern uses of energy and he is commonly regarded as the farther of electrical engineering. His name lives on as the "farad," a scientific term for a unit of electrical capacitance. A statue of Faraday stands in London, and there is a memorial of him placed near his birthplace of Newington Butts. Faraday's life lived out, and continues to inspire one of his most famous quotes: "But still try, for who knows what is possible..."
It would have difficult for him. 1971 or 1791 - you can see how I did it. Thanks for pointing out the mistake tokks and I've corrected the date.